Will Your Estate Pay a Death Tax? No death tax for most. Here's why. Under current tax law most of you will not pay a death tax (called an estate tax). Yet I see so much political propaganda and misleading media editorials on the death tax saying otherwise. Ignore it; most of you will not have an estate large enough to be subject to a death tax. Here's why. Here is why most of you will not pay estate taxes. Each person can pass along over $5 million in assets (investments, real estate, collectibles; essentially everything you own) and your estate and heirs will pay no death tax. That means if you are married, between you and your spouse you can pass along over $10 million of assets and your estate will pay no federal death tax. This dollar limit of assets that are exempt from the estate tax is indexed to inflation, so each year the amount you can pass estate-tax free goes up. Income tax and estate tax are two different things. In general, your heirs do not pay income taxes on assets they inherit, unless the assets were held inside a tax-deferred account such as an IRA, 401(k), annuity, or other qualified retirement account. Since the assets inside qualified retirement accounts have not yet been subject to income tax, as your heirs withdraw fund from those types of accounts they will pay income tax at their applicable tax rate, in the year they take the withdrawal. Although they will pay income tax, no death tax (estate tax) is payable on these assets unless your total estate exceeds the $5 million exemption amount. Your estate may be subject to a state level death tax, although currently only a handful of states impose such a tax. State laws vary so you must check for any applicable death tax in your state of residence to determine if a state-level death tax would apply. If no death tax, why do estate planning? Most Americans do not have estates large enough to be subject to a federal level death tax. This means your estate plan does not need to focus on tax avoidance. However, estate planning is still needed. 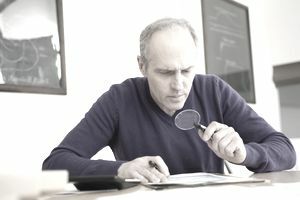 The planning should focus on making sure you have named the proper people to make decisions for you if you are not able to, making sure your accounts are titled correctly, and making sure your beneficiary designations are set up properly so your assets avoid the probate process and transfer easily to the people you want them to go to. Proper planning makes life easier for all parties involved.